Cupcakes and Ice Cream Brush Pack - Free Photoshop Brushes at Brusheezy! Cool down with this new sweet Cupcake and Ice Cream Brush Pack! Included in this pack are twenty one cupcake and ice cream icon brushes perfect for your next scrapbooking project, logo design, or adding a little touch of sweetness to your website. 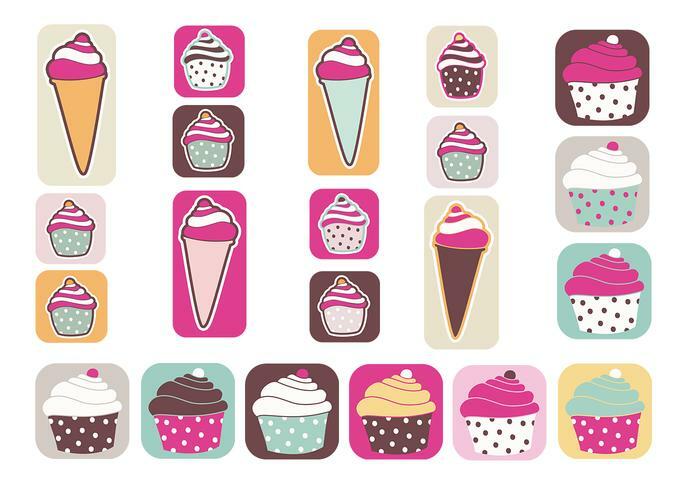 Head over to Vecteezy for the vector pack and download the <a href="http://www.vecteezy.com/Food/37229-Cupcakes-and-Ice-Cream-Vector-Pack/premium">Cupcake and Ice Cream Vector Pack</a>!